Between recent elections in larger EU states like Italy and Sweden and the mid-terms in the U.S. this November, one can be forgiven for overlooking the upcoming elections in Latvia this weekend. Nevertheless, in light of growing Russian disinformation campaigns, we should watch Latvia closely. Ukraine has been ground-zero for Russian interference in the past and it may become ground-zero for Russia again next year when Moscow can unleash its full spectrum of interference from cyber-attacks to political assassinations to sabotage. However, inside EU and NATO, Latvia is as close to ground-zero as one can get. The country lies in Russia’s proximity; with just 550 km separating the Latvian border from the outskirts of Moscow, less than any other NATO ally. Like Ukraine, Latvia was part of the USSR and, as a result, it is home to a large Russian minority that moved there during Soviet times. About 33% of the population are Russian-speakers and ethno-linguistic issues are deeply engraved in the country’s politics. In addition, there is plenty of election material to feed on: wide-spread corruption, a controversial bill making Latvian the only language in schools, and a rise in anti-establishment populism. As expected, Russian meddling is in full swing. Yet we should be watching Latvia, not for the interference about to be unleashed, but for the way the country has managed to deal with interference, which can serve as a lesson for the rest of the democratic world. Ahead of the elections, the government has been working with Facebook and Twitter to curtail fake news while a mechanism has been set up to count ballots by hand in addition to having them scanned electronically. Yet, the country’s biggest strength is the awareness of its citizens – both Latvian-speakers and Russian-speakers. To an extent this is due to past instances of Russian meddling. In 2007, Russia launched an unprecedented cyber-attack –the first of its kind at the time – in neighboring Estonia. After Canadian troops deployed to Latvia to spearhead NATO’s enhanced forward presence, Russian outlets launched a wave of slanderous stories against them. 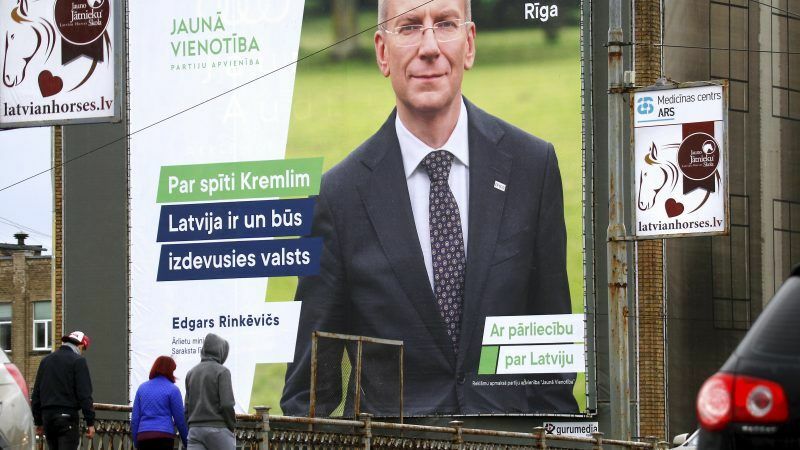 Following the illegal annexation of Crimea, websites begun propagating a separatist republic in Latvia itself. This summer, Latvia’s major news portal came under cyber-attacks. And recently, a marginal radical party, the Latvian Russian Union, spread disinformation about ethnic-Russians being placed in ghettos and NATO planning to use the country as a base for attacking Russia. Latvia’s population has been experiencing interference on a regular basis, long before it became widespread in the West. As a result, the country has become well-versed in detecting it. Being a small state next to a giant, Latvians never sought to get rid of interference, but rather to learn how to live with disinformation as a society. People do not know the specifics of Russian meddling but they possess the critical-thinking in order to spot it when they see it. This may have much to do with their history and proximity but we do have a lot to learn from them. Most Latvian citizens are aware that Russian interference is a problem, which is a lot more than what we can say for our own societies in Western Europe and North America. This must change. To do so, first, our governments need to spread awareness among our citizenry by engaging with NGOs, the mass-media and the tech community. Second, we need to rethink how we approach disinformation. Disinformation does not happen just a few weeks before an election. It is a constant process where meddlers work on sowing confusion and division day-by-day, bit-by-bit. Countering disinformation, therefore, needs to be a similar process. Above all, the fight against disinformation must be a constant effort where all of society can feel they are participants and stakeholders in disinformation campaigns. We will never get rid of interference, but only by genuinely and meaningfully engaging as many of our citizens as possible can we become immune to it.